It may just be me and the movies my Dad watched when I was a kid but when I think of Texas, I think of The Alamo. For that reason we had to make sure we stopped overnight in San Antonio so that we could check out this legendary place. I think I was actually <10 years old when I watched this particular John Wayne movie so I was very fuzzy on the details of why this historic site is so famous. 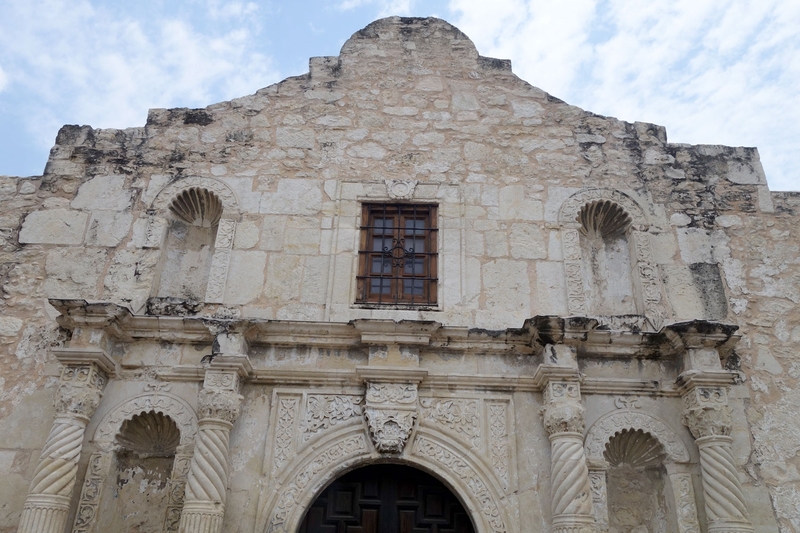 The first thing to know is that it is free to look around the Alamo! This is actually quite a rare thing to find so we were pretty chuffed about that. We started in the shrine which is probably the most photographed part of the old stronghold. It now holds a display about artillery through the ages as well as a memorial to those who dies there but it used to be a church during the time of occupation by the Texan Army. 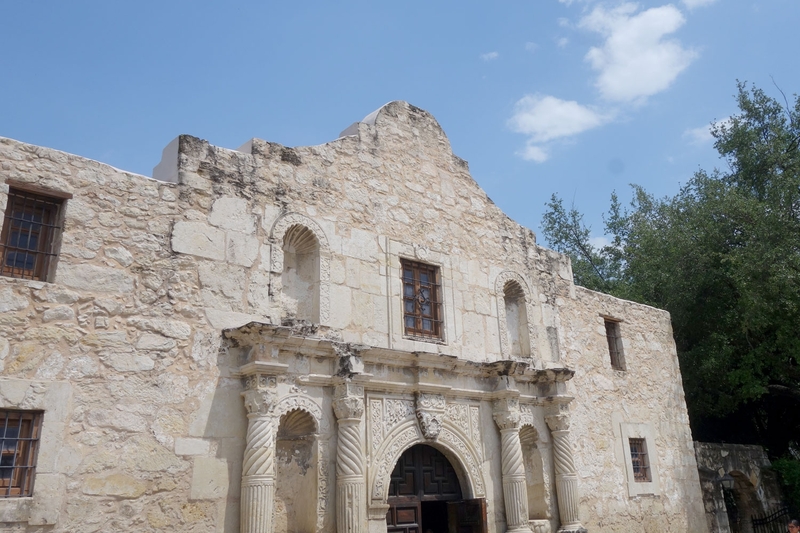 It's a very pretty collection of buildings and outside areas to walk through and there is a large display detailing the timeline of main events that happened regarding the Alamo alongside the rest of the U.S. In the courtyard we also stumbled on one of the staff giving a talk about Texas' history in context of the Alamo which was really interesting! There walked past another one about 15 minutes later as well so they seem to happen frequently! 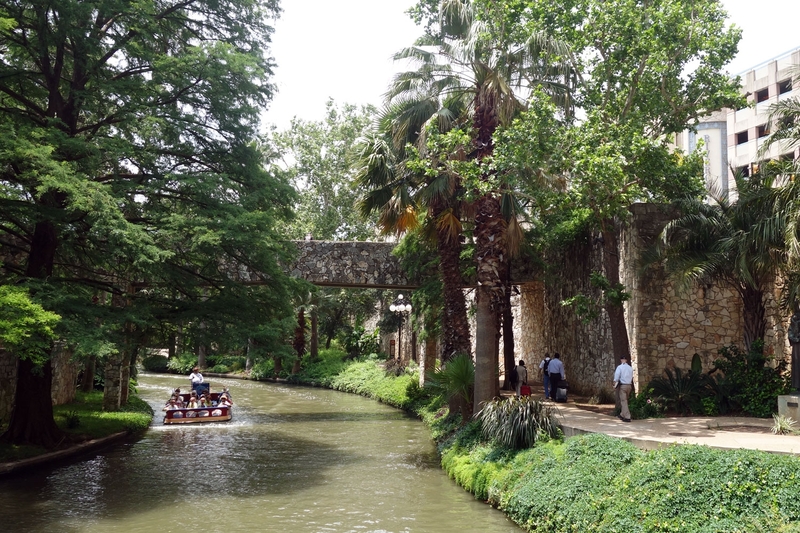 We only walked a portion of this between the Rivercenter Mall and the Alamo site but it is a very pretty area; similar to a canal system in the UK but much better kept and with palm trees interspersing the other trees! I'd recommend checking out a portion of it if you are in San Antonio or if you feel like it you can take a boat tour along the river to see a little bit further.